Thank you for taking the time to learn more about our Agency and the products we provide. Since 2002, we have enjoyed steady growth and have become recognized as one of the leading agencies in the state of Oregon. We have earned our reputation for professionalism due to the special attention given to the needs, requirements and details of our clients. We offer competitive insurance programs for auto, home, motorcycles and RV’s. 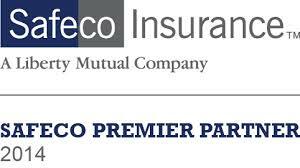 We are also able to provide some the best rates available for specialty lines insurance such as non-standard auto insurance including, SR-22 filings. As an independent insurance agency we have an advantage over our competition by representing many major insurance companies. We are able to shop your insurance needs with many of Oregon’s finest carriers to find you the best rates available. As your insurance agents, our goal is to provide YOU the best service with the coverage you choose at the lowest possible price.